The small Alaskan town of Skagway is home to one of the best brewpubs that you’ll find in the Last Frontier. 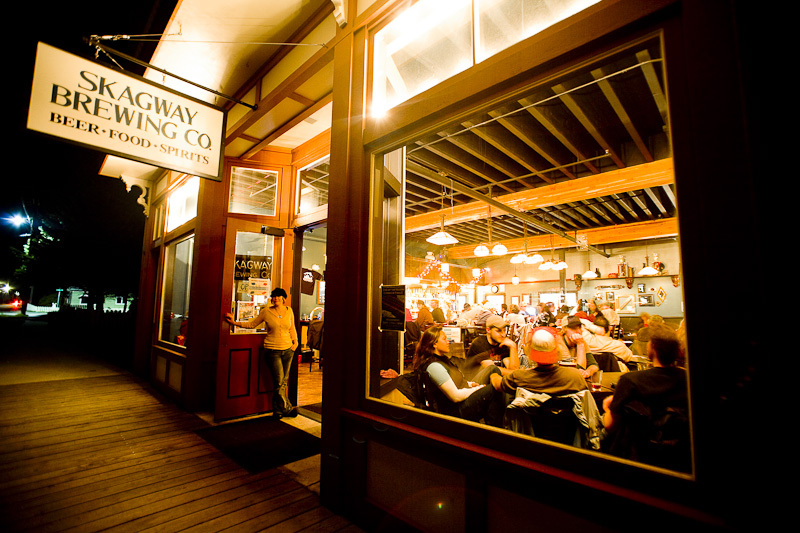 The Skagway Brewing Company, known simply as Brew Co to the locals, is arguably the best watering hole in town. Open year round, this pub does major business during the summer cruise ship tourist season, as Skagway is one of the ports of call on the popular Inside Passage cruise route. Skagway was once a boom town during the Klondike Gold Rush of 1898, and it was way back then that the Skagway Brewing Company was established. As eager prospectors populated the area, brew master Herman Barthel produced thousands of barrels of beer from 1887 until 1904. The Brew Co was brought back to life in 1997, and the town’s been enjoying beer on Broadway ever since. To get there, walk all the way down the boardwalk on Broadway until you hit 7th street. It only takes a few minutes to walk from the cruise ship docks. The warm and inviting atmosphere will keep you cozy as those chilly North winds blow. Take a seat at the inviting oak bar, or pull up a chair at one of the high top tables. Drinks aren’t the only thing that flows freely in here; there’s no shortage of engaging conversations to be had with the locals and fellow travelers. If you’re up for some friendly chit-chat, I can guarantee that you’ll meet some of the most interesting people. After all, Alaska tends to attract folks with an adventurous spirit! 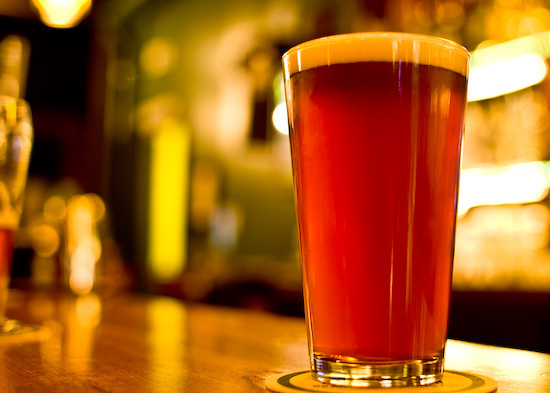 There are 5 delicious ales on tap, and each one is a must-try for any beer lover. The Spruce Tip Blonde is the Brewing Company’s signature ale. If you’re visiting Skagway, I’d argue that your trip isn’t complete until you’ve had at least a taste of this unique brew. Made with locally picked Sitka Spruce tree tips, it’s both refreshing and flavorful. Order a sampler and try all 5 brews, including Prospector Pale, Boom Town Brown, Chilkoot Trail IPA, and Blue Top Porter. You can order a pint, or even get a growler to go. Once you’ve worked up an appetite, you’ll be happy to know that the Skagway Brewing Company offers up a menu with something for everyone. There are pub favorites like hand cut fries, burgers, onion rings, and chicken wings. For a true Alaskan experience, try the salmon sandwich, made from locally caught Sockeye Salmon. The Brew Master’s Fish and Chips, made with Alaskan Halibut, is another must-try when you’re in the area. There are salads, soups, nightly specials, and even a kids menu. Whether you’re stopping on a cruise, coming to town in an RV, or spending the summer in Skagway, be sure to check out the Skagway Brewing Company. Day or night, you’ll be welcomed in for a cold beer, lively entertainment, and interesting conversation. It’s the perfect spot to kick back and enjoy the local flavor in this cool little Alaskan town. That sounds like a great little pub to visit. Thanks for sharing!